Most patients at 20/20 Institute would like to have LASIK as soon as they can, and afterwards wish they would have done it sooner. While these are our experiences with people who come to us for LASIK, we understand it isn’t quite that simple. The decision to have LASIK takes some time for people to make. This post is about timing. 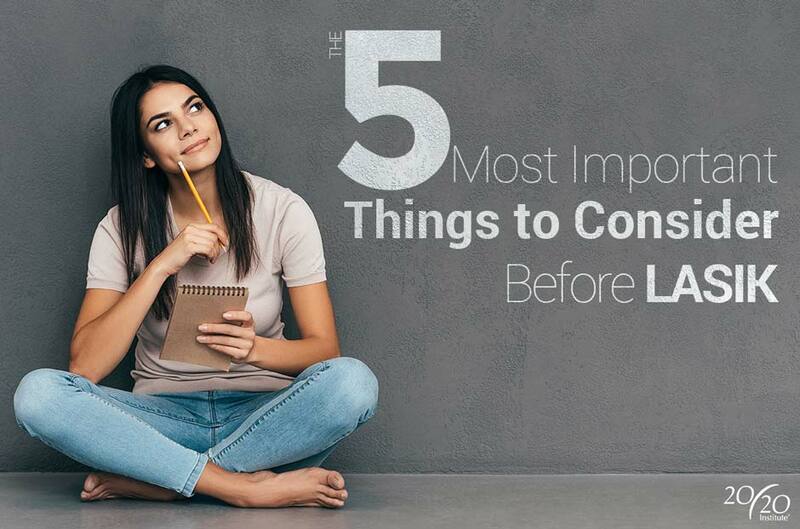 So if you have questions related to what things to consider about when in life to have LASIK, and/or ensuring that your timing is right to fit LASIK into your life, then read on! If glasses and contact lenses are not working ideally, the first step is making sure the problem is not the particular set of glasses or contacts. Glasses come in different styles and shapes with different nosepieces and temples. Contact lenses are manufactured with various types of materials to improve effectiveness, comfort, and breathability. With these options, eye doctors can prescribe based on an individual’s needs to improve the patient’s satisfaction with their glasses and contacts. Many people, however, are unable to find the right setup that makes them happy no matter how many different types of glasses or contact lenses they try. LASIK is typically reserved for patients who have explored their non-surgical options and found none to be acceptable. The minimum age for LASIK is 18, but the more important consideration is whether your prescription significantly changes year to year. The LASIK Specialist doctors at 20/20 Institute evaluate every patient’s prescription stability. If your prescription isn’t stable, our doctors will advice you to wait at least a year or two before considering LASIK again. 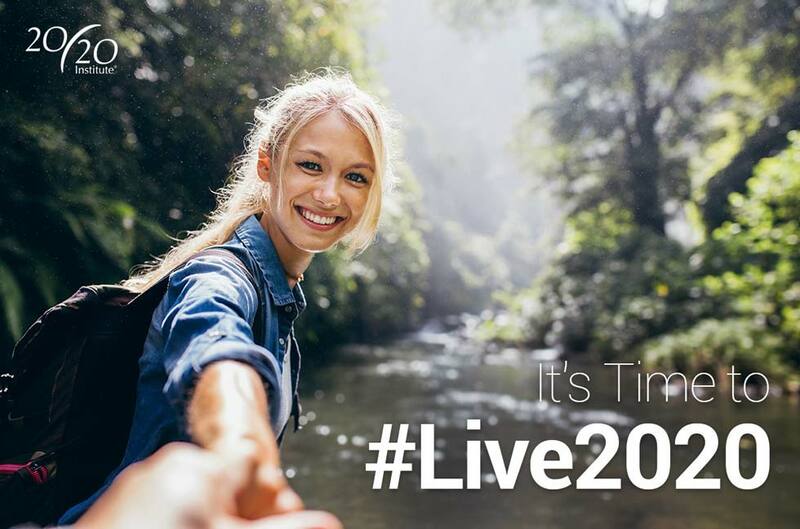 The only way to truly determine your candidacy for LASIK is by visiting 20/20 Institute for a free LASIK consultation and evaluation. But we do have a helpful tool that will give you an idea of your candidacy right now. At a comprehensive LASIK consultation and evaluation, the 20/20 Institute’s LASIK Specialists evaluate prescription stability as well as eye health, prescription type and magnitude, and the shape of the eyes to determine a patient’s candidacy. General health also is an important part of LASIK candidacy. Some general health topics warrant further discussion related to timing for LASIK. If you are currently pregnant or nursing, it is best to wait until you are done before having LASIK. Next, blood sugar and auto immune disorders can prevent a person from having LASIK when uncontrolled. The good news is that when testing confirms that these conditions are under control and within acceptable limits, many patients can successfully have LASIK. Your doctor and the LASIK surgeons at 20/20 Institute will work together to determine your candidacy for LASIK. It is true that LASIK is a larger up-front investment. It’s also true that, for most patients, the cost of LASIK is less than a lifetime of glasses and contact lenses. Denver area patients have many options to choose from when deciding what kind of LASIK they want. Naturally, the different LASIK procedures come with a range costs. The price for LASIK is a consideration for most patients, but the most important thing is to have it when the cost works for you and your budget. 20/20 Institute’s Best Price Guarantee is our commitment to provide our most advanced LASIK technology and five-star customer service for the lowest price in Denver. Our patients have many options available to help make LASIK more affordable. We understand that people have busy lives, and that it is necessary to plan ahead for something as important as having LASIK. There are also bigger picture considerations that you should think about when deciding to have LASIK. When deciding when to have LASIK within the next year or so, the more relevant considerations relate to preparing to have LASIK, the time commitments involved, and the recovery time. For patients wearing contact lenses, there is a period of time before the procedure where the patient only wears glasses. It’s an important part of getting the eyes ready for LASIK to achieve the best results. For most patients, this time is about a week or two. So if you are a contact lens person, it is important to plan your preparation around activities that require your contact lenses. LASIK recovery is relatively quick. Most patients return to normal activities as early as the day after LASIK. Most of our patients drive themselves to their first checkup the next morning. You should expect to recover quickly, but full healing takes longer than overnight. This means that the things to avoid after LASIK should be considered in your planning as well. Hopefully this blog and our website will be helpful to you in learning about 20/20 LASIK. For most patients, nothing can replace a conversation. That’s why we have highly experienced team members and doctors available to chat or meet with you to discuss your questions and concerns. For more information about LASIK from the 20/20 Institute, continue exploring this site. When you are ready, let us know you would like us to contact you or call at 303.202.0669. Our experienced team will be happy to answer your questions to schedule your complimentary LASIK consultation.